Pink with black United Farm Workers of America logo button. 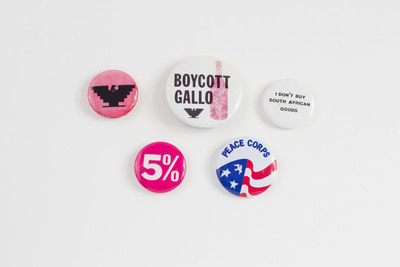 Boycott Gallo UFW logo button. I Don’t Buy South African Goods button.